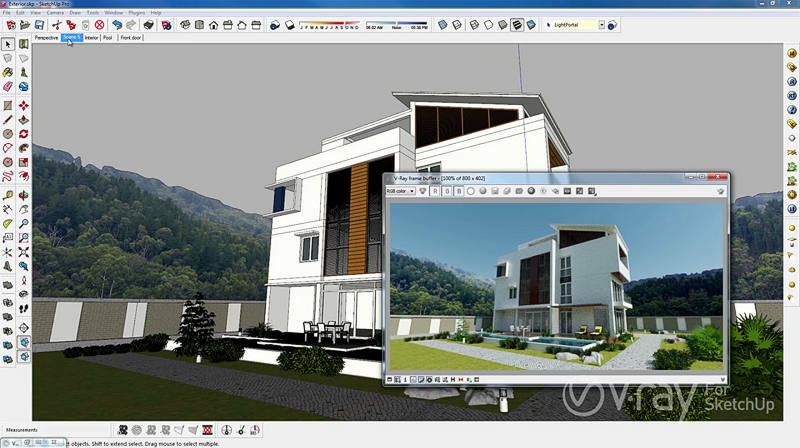 Chaos Group has released an update to its renderer for Trimble’s modeling software, adding SketchUp 2016 compatibility, improvements to animation, more stable batch rendering, full support for the Skatter extension as well as for ArchVision RPCs. The update is available for free to all V-Ray 2.0 for SketchUp users. More on Chaos Group’s website.